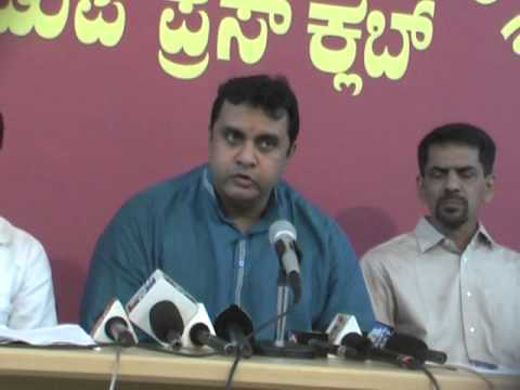 Udupi: August 26, 2015: MLA Pramodh Madhwaraj instructed gram panchayats to come up with a list of homeless people on or before September 30. Speaking at a review meeting, organised to look into the progress of various gram panchayats on Tuesday, the MLA said that around 5,000 applications had been received from homeless people in Udupi Assembly Constituency alone. Madhwaraj instructed the PDOs of all the gram panchayats to categorise the applications into A, B and C after processing them. The applicants coming under the A category will be those who do not have land and they reside in a rented house. While the B category applicants comprise people who have two and more married couples in the house. The C category applicants come under rejection list, as they possess land. The MLA added that the deadline for all the gram panchayats was September 30, except for Kodavur and Puttur, as both the villages have received more than 300 applications. The deadline for these GPs will be October 30, he added. Madhwaraj said October 15 would be the deadline for areas coming under CMC limits. The finalised list should be handed over to the revenue inspector, who in turn will verify and forward the same to the tahsildar. The MLA added that the process of identifying the land for the homeless was underway, and 36 acres of land in Brahmavar and six acres of land in Udupi had been identified. He instructed the officials to identify at least 50 acres of land in rural areas and 30 acres of land in urban areas. He added that the plans to contract flats instead of giving away land to the individuals would be feasible. Madhwaraj said that flats could accommodate a lot of people. The MLA added that if one acre of land was distributed to the beneficiaries, only 23 people would get the benefit. But in the same area nearly 78 flats can be built. The people who prefer land outside Udupi will also be given priority. Madhwaraj added that as per a new government scheme, the Government of India will give Rs 2 lakh fund and also another Rs 2 lakh loan for the construction of a house. The State government also provides Rs 1.20 lakh under Basava Vasati Yojane for the homeless, he added. We really are grateful about our Madwaraj for his view on behalf of the GP people. Thanks for considering their problems as finding a solution for it. Hope come out with it soon.